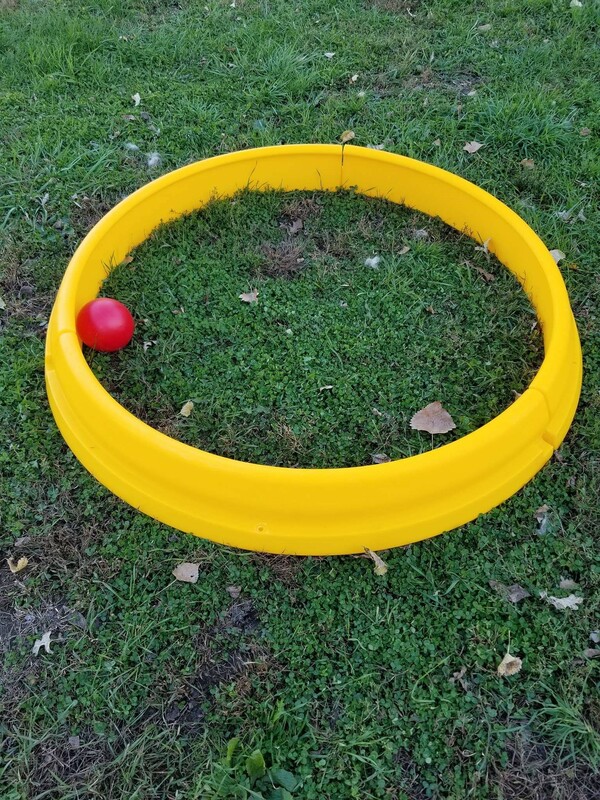 The Pit Ball is “A Tool Disguised as a Toy” this unit was designed to help vent major muscle energy. 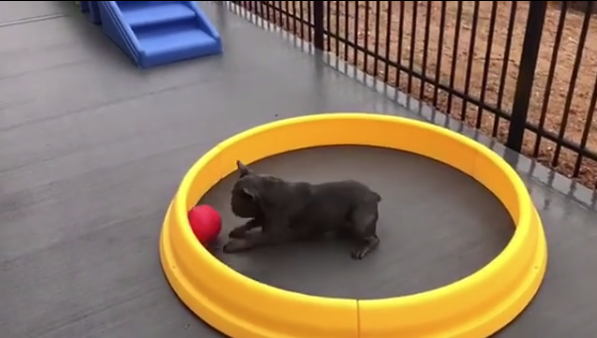 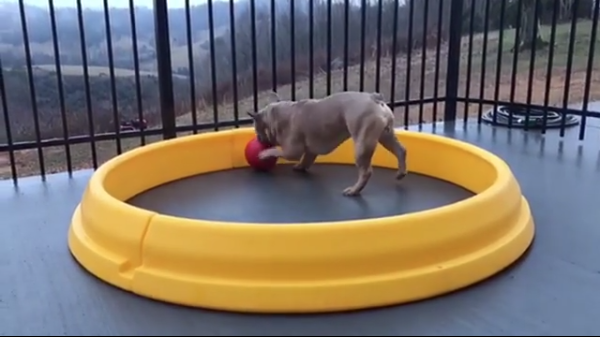 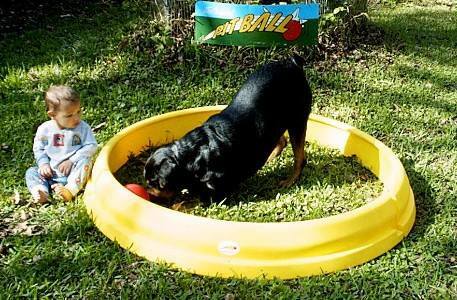 Many behaviour issues arise due to excess amounts of energy, the pit ball does an awesome job to vent that energy and provide loads of fun for all dog sizes! 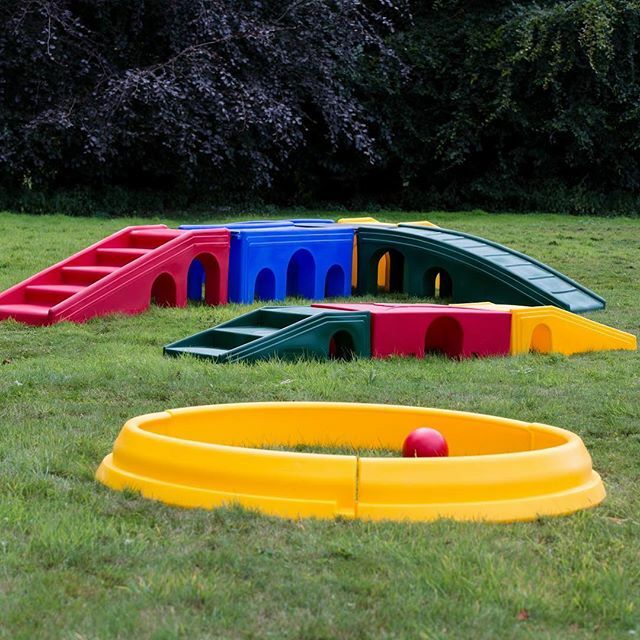 Suitable for indoor and outdoor use and made of 3 easy to assemble parts with rounded edges – simply slot together and away you go.